All versions of the SharePoint user interface provide an option to change the title (or display name) of a list or library. You can usually find this option here: List (or library) settings >> List name, description and navigation. What if you want to change the URL (also known as internal name) of the list or library? The process to do this is not exactly very intuitive. So, we will discuss it in this article. The URL of a SharePoint list or library is automatically set at creation time – using the “Name” entered. So depending on your SharePoint version, spaces you entered in the “Name” field will either be rendered as %20 or _x0020_ (because _x0020_ represents the URL encoding for %20). The common practice to avoid ugly SharePoint URLs is to create lists or libraries without spaces at first. And then, edit the list or library thereafter to change the display name. The internal name (URL) remains clean (no %20 or _x0020_) and unchanged. So, there is clearly a simple method for changing the display names of SharePoint lists and libraries. But if you made a mistake in the value you entered in the “Name” field when you originally created the list, your options to change the URL are limited. And many users just end up deleting the list and creating it again – this time with the correct URL. Using the method below, you can avoid recreating your lists just because of a list URL error. SharePoint Designer is required to do this. Open your website in SharePoint Designer and navigate to the All Files node. Find your list or document library there. Right-click it and press Rename. The URL and internal name will then change. Important: Use the All Files node and NOT the List and Libraries node. Even though you may be able to complete the steps from the List and Libraries node, the underlying behavior of “Rename” is different and not what we want. Renaming from the List and Libraries node only changes the title (or display name) not the URL. Open the library in explorer view. Navigate one folder up to display your libraries as folders. Rename the required library’s folder name as you want the URL to look like. While the explorer view method may produce the desired result of changing the library’s URL, it could potentially also cause an issue with Microsoft Office column defaults in the Document Information Panel. Within a library’s “forms” folder, there is a file named client_LocationBasedDefaults.html, which holds an XML definition of folder column defaults used by client applications such as MS Office. That file contains an href containing the library URL. A rename via SharePoint designer updates that URL but renaming via explorer view does not. 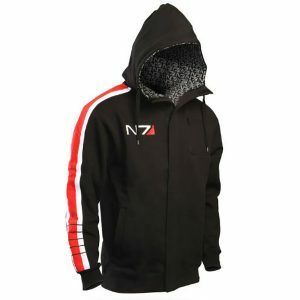 The Dahee Black N7 Hoodie is a great everyday wear for fans of the Mass Effect sci-fi action role-playing video game. Look as good as Commander Shepherd while enjoying the prestige of wearing high rank N7 merchandise. Going to bed is about to become the best part of your day! 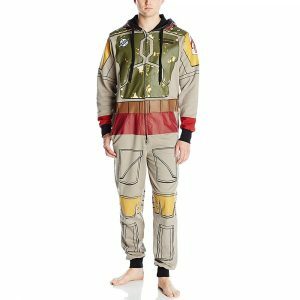 Get one of these Star Wars Adult Onesies and begin to have fantastic nights in the Star Wars Sci-Fi universe. You can choose to be Boba Fett, Chewbacca, Vader, or any famous character. silver darling on How To Update Yoast SEO Fields ProgrammaticallyGreat, just what i needed, thank you! When linked excel files are migrated from the network into SharePoint, the links break. This article explains how to address the issue.